Every now and then you get one of those funky smells that could really use a bit of scent removal. 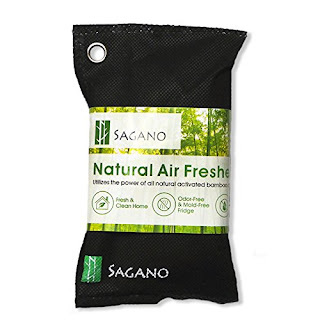 I got this Best Activated Charcoal Odor Absorber Air Purifier 100 Gram All Natural Bag by Sagano to help remove smells and eliminate moisture. 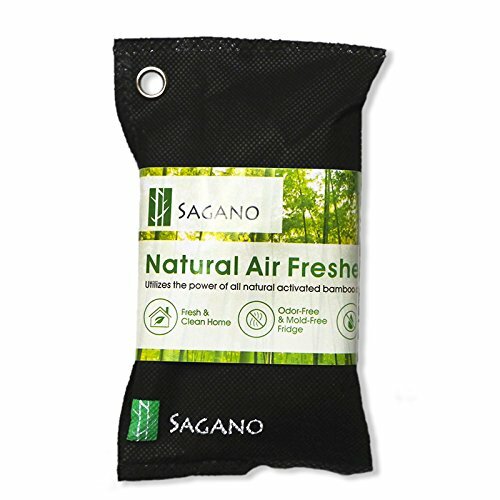 This product is a small pouch of activated charcoal which does a great job of eliminating excess moisture and controlling odors in small enclosed spaces such as the refrigerator, car, or other similar areas. This is a small cloth bag with a grommet on one corner so it can be easily hung in the area of your choice, or just tucked onto a shelf. I placed mine in the refrigerator to eliminate a garlic smell from last night's leftovers and it seems to be doing a great job there. It works much better than the box of baking soda I used to keep in my fridge, and I don't have to worry about this one getting knocked over and spilled. According to the manufacturer, activated carbon is a stronger odor absorber than baking soda and can last up to 2 years, although mine won't likely remain in the refrigerator for that long since I have a few other places I would like to try it out.